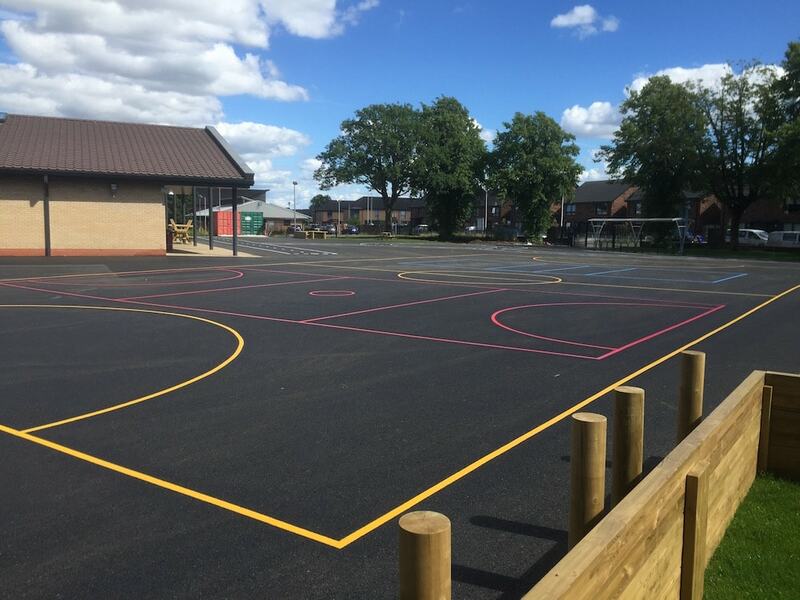 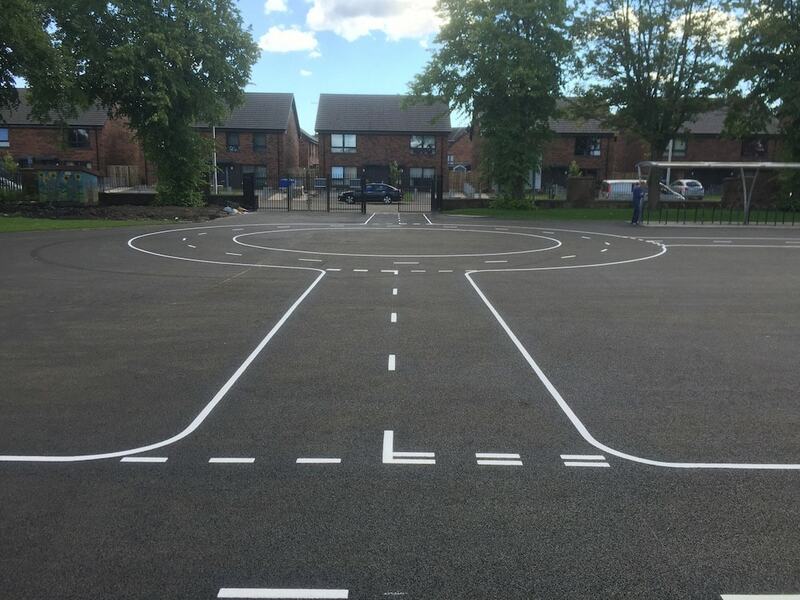 The first4playgrounds team installed three space saving Game Courts in one along with a large Cycle Proficiency Track at a Paisley Primary School. 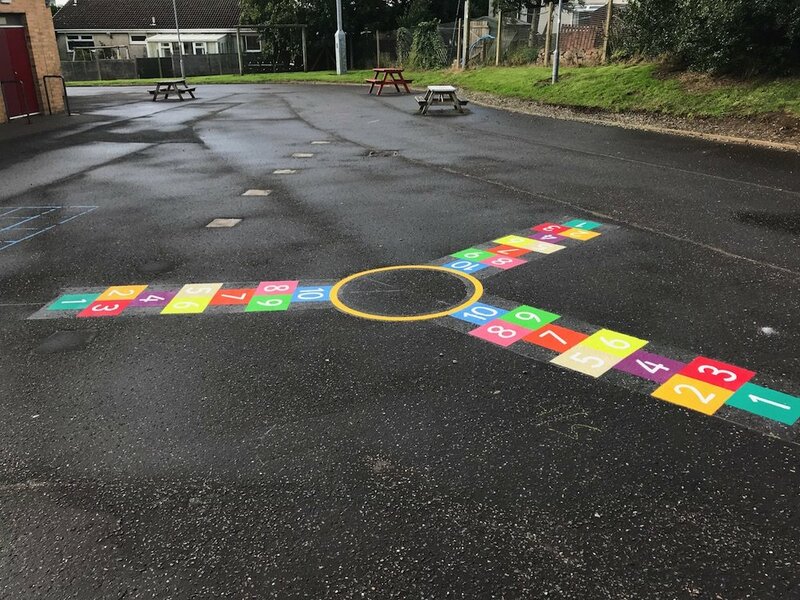 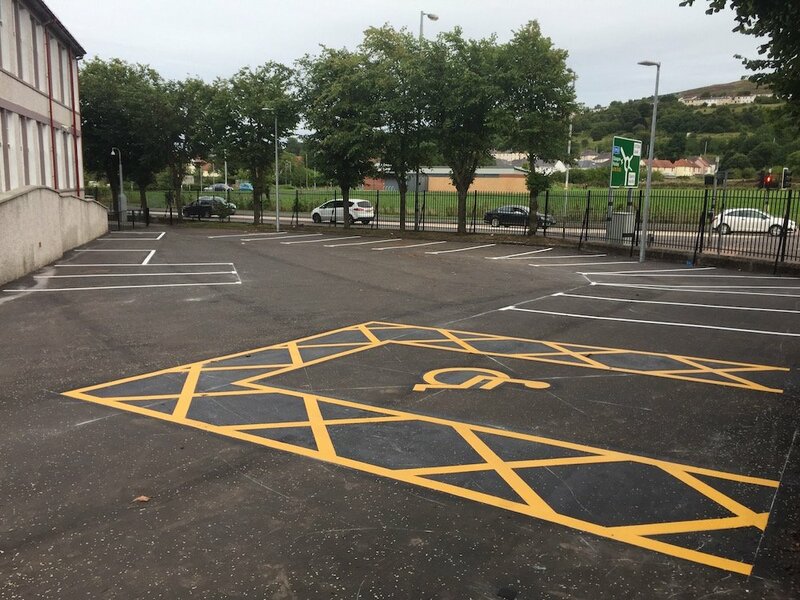 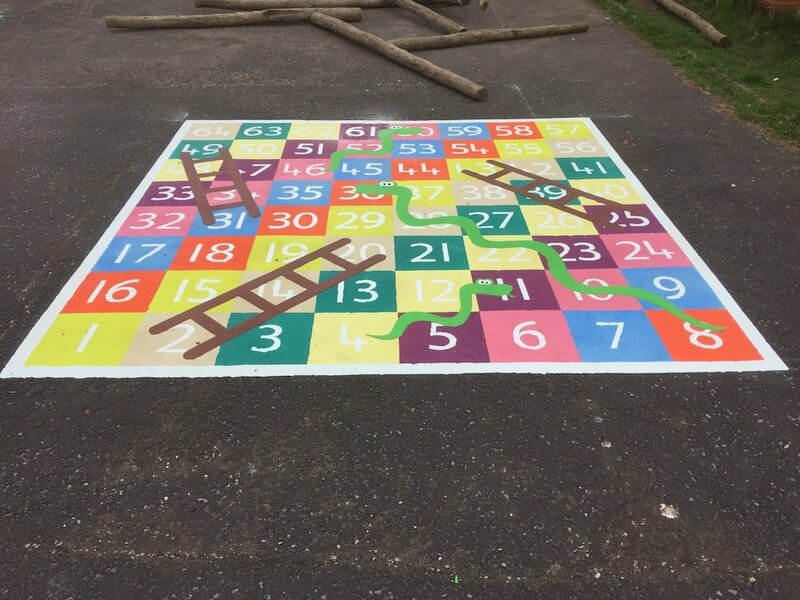 The first4playgrounds team traveled north to install a comprehensive range of Thermoplastic Playground Markings at a Primary School in Paisley, Scotland. 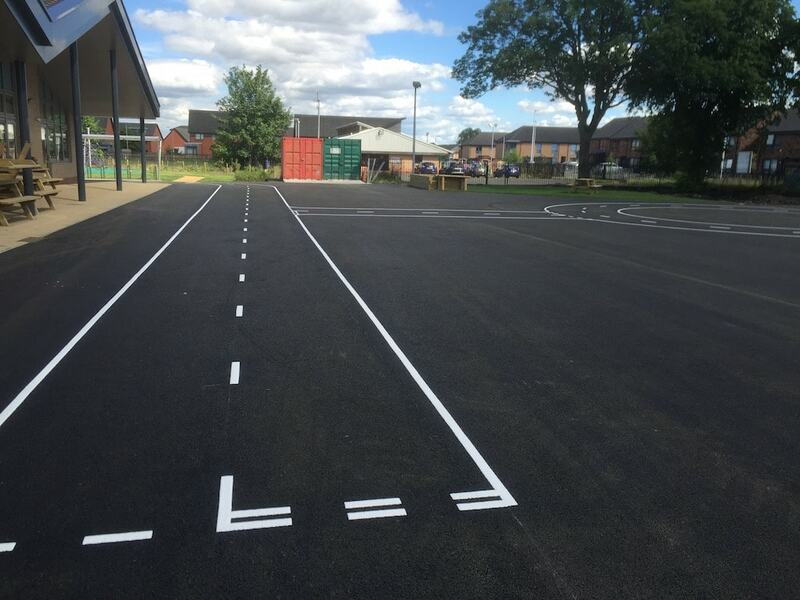 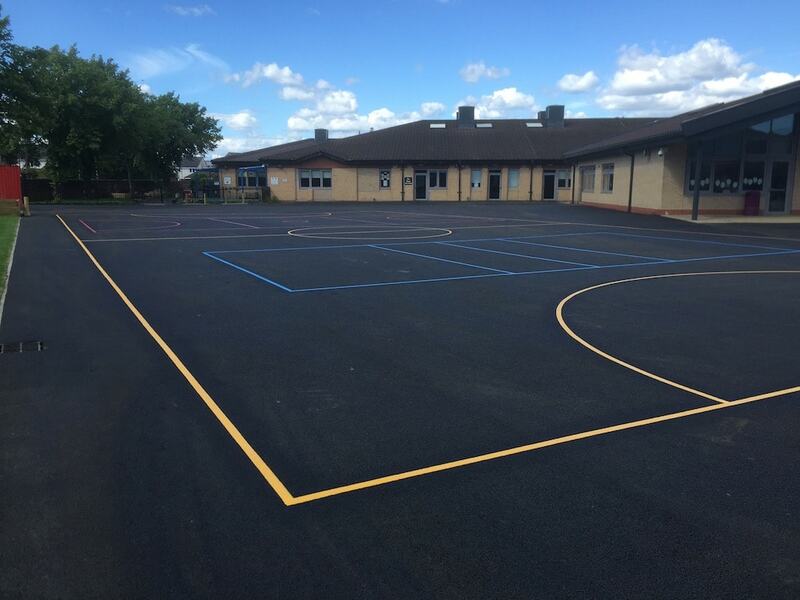 The install consisted of a Cycle Proficiency Track and full size football court. 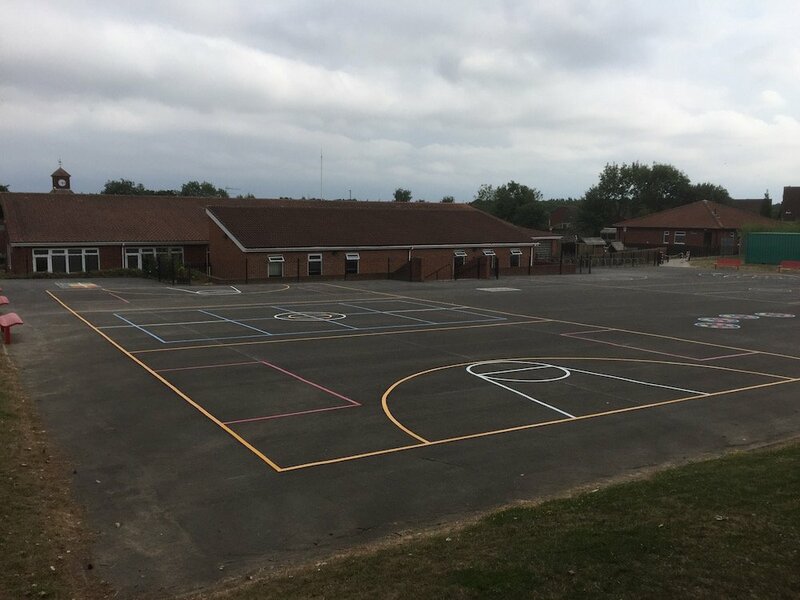 Inside the Football court were two smaller courts for Volleyball and Netball which helped to give dual usage to the area available. 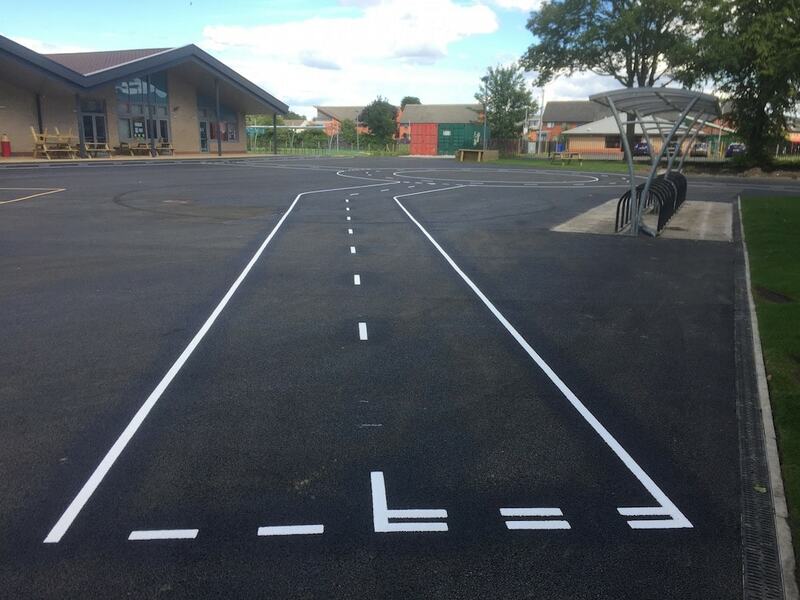 First to be installed was the full size Football Court and once that was complete the team could the layout the two smaller courts for Volleyball and Netball within. 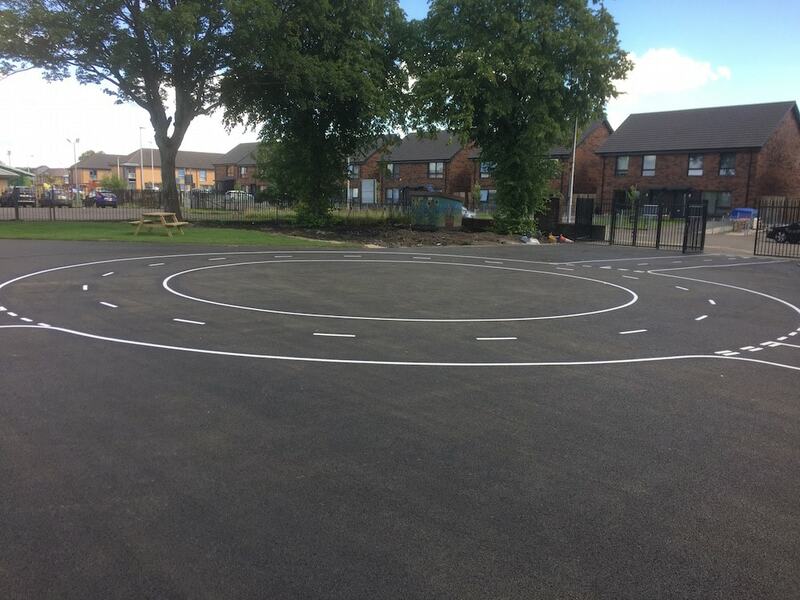 Next the team moved on to install this large Cycle Proficiency Track complete with a 30 metre roundabout. 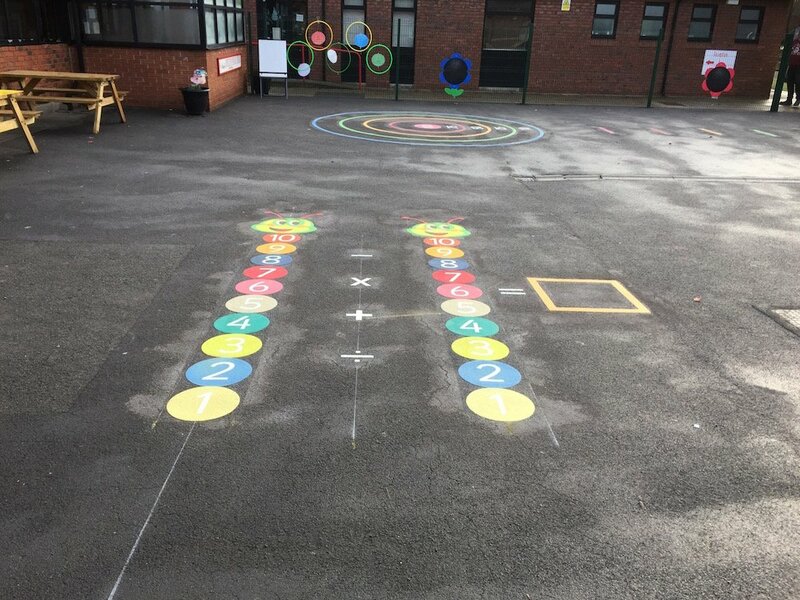 The Cycle Proficiency Track is a great addition to any school playground. 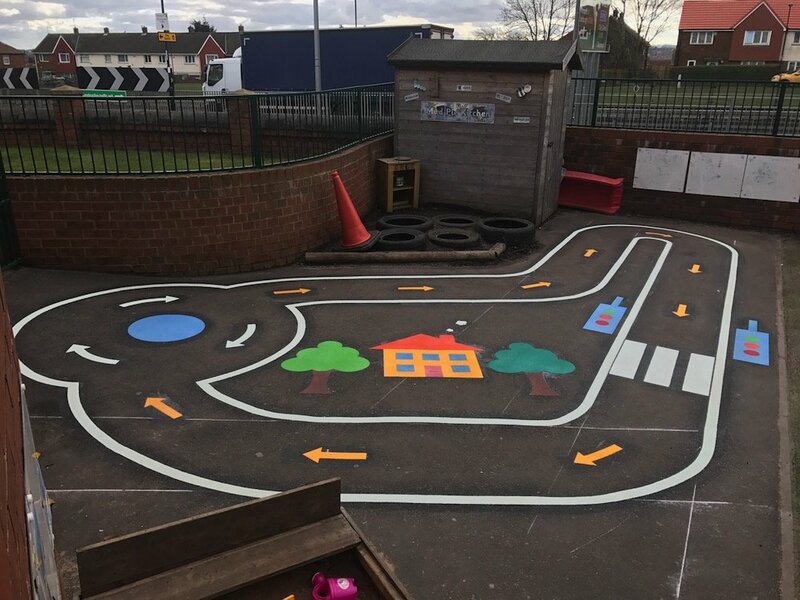 Allowing the children to practice road safety in a safe environment. 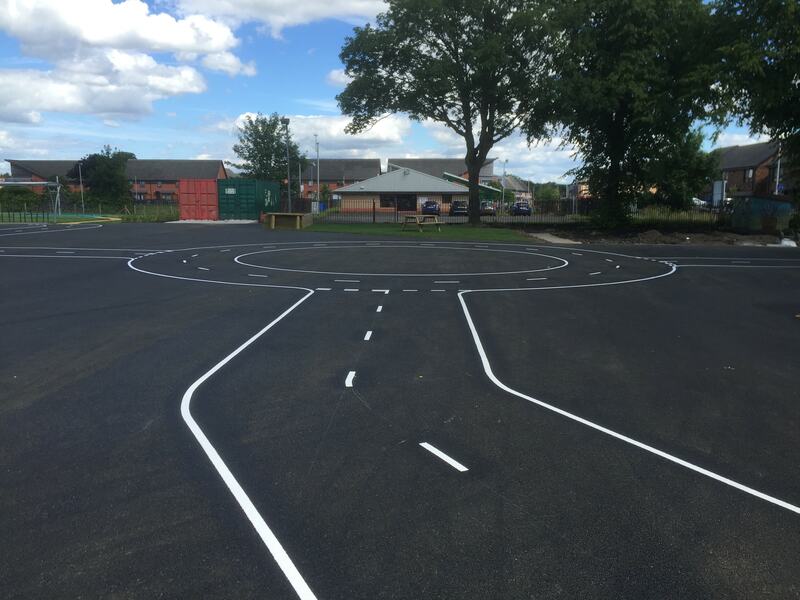 This means children can learn elementary Highway Code and gain confidence before going onto actual roads. 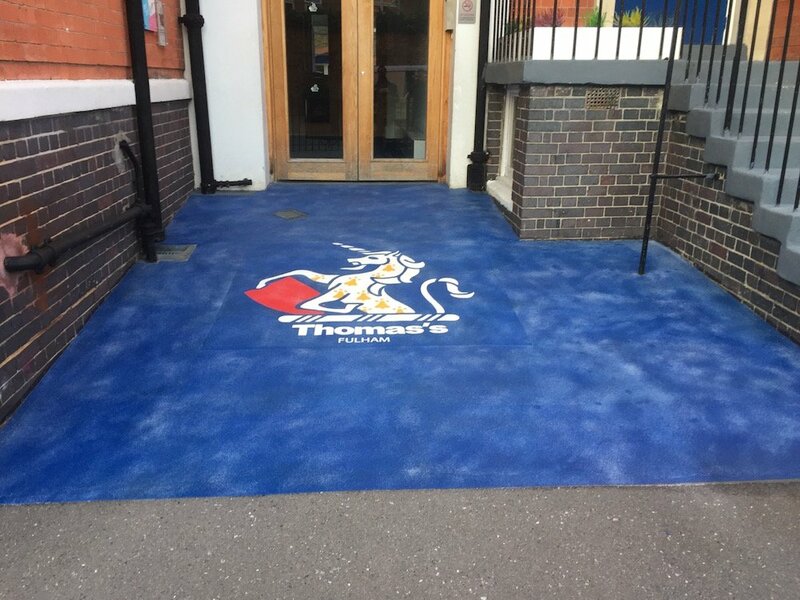 Our Cycle Proficiency Tracks can be designed to fit any school play area.